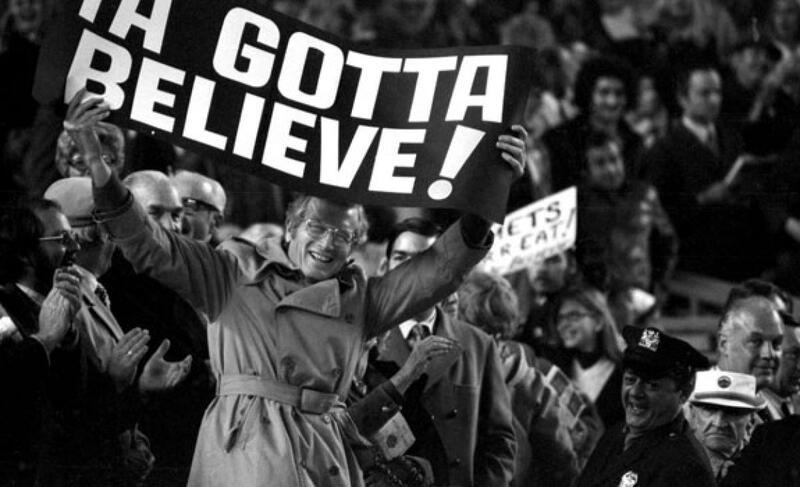 NLDS Game 2 Recap: Dodgers 5, Mets 2, Utley breaks Tejada’s leg with takeout slide | We Gotta Believe! The Dodgers defeated the Mets by a score of 5-3 to even the series at 1 game apiece. The Mets jumped ahead with home runs by Yoenis Cespedes and Michael Conforto in the 2nd inning, but the Dodgers stormed back in the 7th inning against Syndergaard, Bartolo Colon, and Addison Reed with an assist by Chase Utley‘s late slide, the umpiring crew, and the replay umpires. The Mets jumped out to the early lead with solo home runs by Cespedes and Conforto in the 2nd, but that would be all they would get on the night. Noah Syndergaard struck out 9 over 6 1/3 innings and worked in and out of trouble throughout the night. Syndergaard left after 6 1/3, after having allowed 1 run, but he left runners on 1st and 3rd with 1 out. Terry Collins opted to go to Bartolo Colon to face Howie Kendrick, who hit a grounder up the middle fielded by Daniel Murphy. Murphy flipped to Ruben Tejada for the forceout, but before he could try and turn what would have been a difficult double play, Chase Utley took him out on a late slide, allowing the game tying run to score and breaking Tejada’s fibula. In a baffling turn of events, the forceout was overturned on replay after video review showed Tejada did not touch 2nd base. Neither Utley nor Tejada touched 2nd, but Utley was ruled safe. What followed was a flyout by Corey Seager, but then a 2-run double by Adrian Gonzalez and an RBI double by Justin Turner. The Dodgers took a 5-3 lead, and didn’t look back. Ruben Tejada missed the base, but so did Chase Utley. Tejada was in the process of trying to turn two, which would make the call a neighborhood play. Neighborhood plays are explicitly not reviewable. Therefore, the replay review never should have happened. Chase Utley, despite never having touched the base, was ruled safe. Utley was ruled safe, since after the initial out call, there was no need for him to touch 2nd. According to Joe Torre, had a Mets player tagged Utley when he was walking off the field, he would have been called out. For some reason, the Mets should have tagged a player who was already out, but Chase Utley did not need to touch 2nd base when already out. POSITIVES: Cespedes and Conforto hit some nice shots against Greinke. Syndergaard looked shaky at times, but strong overall. Jon Niese got a big strikeout in the 7th, even though the damage had already been done before he entered the game. Hansel Robles pitched a scoreless 8th. Curtis Granderson was once again 2/3 with a walk. NEGATIVES: Addison Reed did not help matters in the 7th, when he allowed 3 runs to score after getting the 2nd out. Of course, with two outs, one could argue that the runs should never have scored. David Wright as 0/4, Lucas Duda 0/3, and Travis d’Arnaud 0/3 with 3 strikeouts. Ruben Tejada has a broken fibula and, presumably, is out for the season. Game 3 is Monday at 8:37 PM at Citi Field, with Matt Harvey facing Brett Anderson.